Having a healthy flock of chooks in the backyard is fantastic. Unfortunately, occasionally illnesses crop up in flocks that can affect individual birds, or in some cases a significant proportion of the flock. It is prudent for the backyard chicken owner to have a basic understanding and awareness of some of the common diseases, as many of them can be prevented or managed through good husbandry practices. Intestinal worms such as Ascarids, Capillaria and Heterakis affect chickens. They can cause lethargy, weight loss, diarrhoea and anorexia (reduced appetite) if numbers are high enough. Infected chickens pass parasite eggs in their faeces which contaminate the soil and are then subsequently ingested by other chickens. Some can also be transmitted via eating insects or earthworms. Regular worming of your chickens to keep parasite numbers in check is recommended. Every 3 months is a good general guide for a worming schedule. Be sure to use a worming product suitable for use in egg laying chickens such as Levamisole (Kilverm). Faecal examinations by your veterinarian are recommended to monitor parasites in your flock and ensure treatments are effective. Coccidia is a protozoan parasite that lives in the intestines of chickens, causing diarrhoea (with or without blood), weight loss, dehydration, depression, incoordination and sudden death. It is usually a disease of young birds but can affect birds of all ages under suitable conditions. Coccidia thrives in crowded, moist, warm conditions. Coccidia are present in the litter/soil of all chicken houses and can be moved via chickens, humans, equipment, animals and insects. They are ingested by the chicken where they reproduce in the intestines and their eggs are shed into the environment which sporulate (become infective) under the right conditions. Many birds will become immune when infected with low numbers which is why older birds are more resistant to outbreaks of disease. Young susceptible birds that ingest large numbers of sporulated oocysts will become sick and large numbers of birds can be lost. Diagnosis by your vet is via microscopic examination of faeces, however they can sometimes shed intermittently making a diagnosis hard. Post mortem examination can also be useful. Young birds should be raised on a commercial feed containing a coccidiostat to prevent disease in this high risk group. Bedding should be cleaned regularly and kept dry. For management of all internal parasites having a coop that can be cleaned easily with a solid floor and a run area which can be rotated or moved onto fresh ground is of great benefit in reducing parasite burdens in soil and reinfection. Lice are a common nuisance and can be easily seen when feathers are parted. They can be treated with pyrethroid sprays/powders registered for use in birds or other off-label medications can be used with veterinary advice. It is important to treat birds twice at a 7-10 day interval to kill the next lot that will hatch from eggs in this time. The Red Mite feeds on the blood of the chicken at night and by day lives in the cracks in the coop, they also don’t mind feeding on humans! 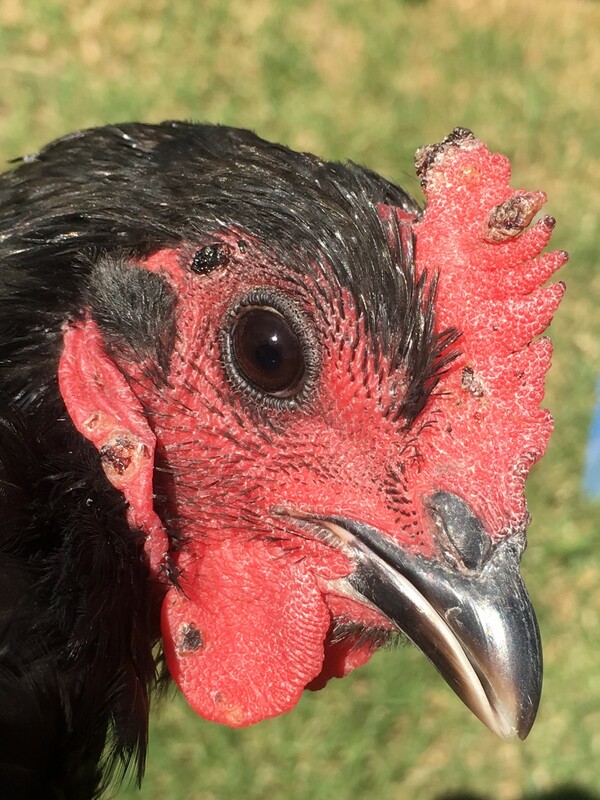 If you find yourself with itchy bites then have a closer look at your chickens and coop at night, they are very tiny red coloured creatures that can just be seen with the naked eye. They are spread by wild birds. There are limited chemical sprays that can be used in the environment to control these but I have had good success using diatomaceous earth sprinkled in the coop, perches and nest boxes after thoroughly cleaning out the litter which should be burned or buried. The diatomaceous earth works by desiccating (dehydrating) the insect. Do not use it directly on the birds, it is a very fine powder, and is irritant to airways. People should wear a mask when using the product. The scaly leg mite as the name suggests causes thickening and scaling of the legs and unfeathered areas of your chickens. The mite lives deep in the skin and needs to be treated with medication. Various recipes for oil baths and scrubbing legs are found on the internet, but due to the location of the mite deep within the skin these are typically ineffective. 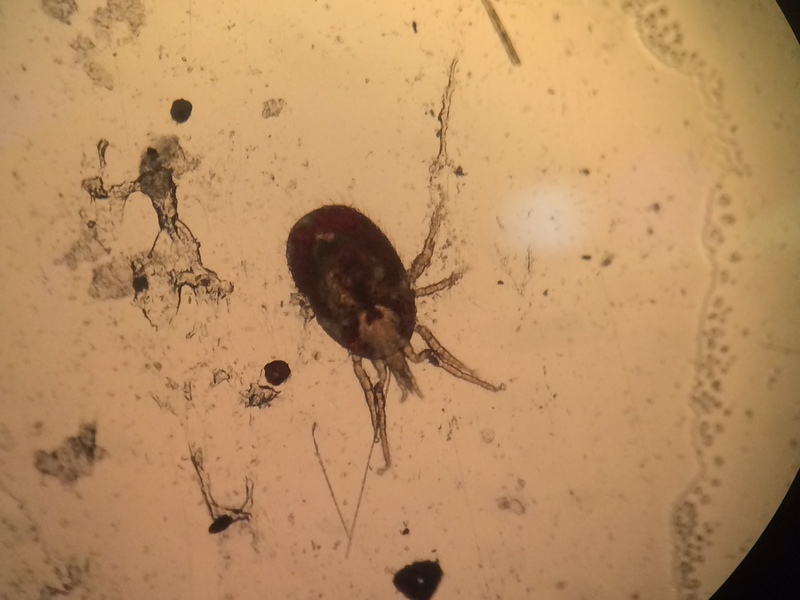 Speak to your avian veterinarian about diagnosis and treatment options if you feel this mite is affecting your flock. Respiratory disease is one of the most common problems we see in backyard poultry and is the most difficult to control. Commercial hatcheries have strict biosecurity and vaccine schedules to keep respiratory diseases out, but in a backyard situation or free range situation where birds have contact with wild birds and carrier birds can easily be moved around it is virtually impossible to eliminate. To reduce the risk make sure your coop can be kept clean, is well ventilated, and is not overcrowded. Make sure rodents are controlled, and aim to reduce wild birds visiting. Feed a good quality diet (see nutrition article), reduce climate extremes eg adequate shade and warmth, and treat concurrent disease such as parasites. In general, reducing stress and optimising health will boost your birds’ immune systems. There are many viral and bacterial causes of respiratory disease making diagnosis and treatment difficult. Ideally samples should be submitted to the laboratory for testing to determine which pathogen (disease causing agent) is involved. Infectious Laryngotracheitis is a herpesvirus which survives well in the environment. There is no treatment available and the virus remains in flocks for life with intermittent and in-apparent shedding. A vaccine is available; however, it is generally only done in the face of an outbreak as it can cause severe reactions. Infectious Bronchitis is a coronavirus which survives well in the environment. Again there is a vaccine available to commercial hatcheries but can also cause severe reactions so is generally not done for backyard birds. Fowl Cholera is a bacterial infection from Pasteurella. It can be spread by wild birds and rodents as well as on equipment and clothing. Control is through good biosecurity and hygiene practices, preventing wild birds and rodents accessing chicken feeders and cover runs where possible to prevent access by wild birds. Antibiotics can be useful. Infectious Coryza is another bacterial infection caused by Avibacterium. Carrier birds can shed this organism without showing any signs of illness and while it can be treated with antibiotics, it can never be completely eradicated. Vaccination of small flocks may be viable where disease is a problem. Chronic respiratory disease is caused by Mycoplasma bacteria. It is spread via aerosols (coughing, sneezing, anything that disperses bacteria through air), and through eggs. For this reason it very difficult to eradicate even by depopulating and restocking unless you can source stock from mycoplasma free commercial hatcheries. It does not survive long in the environment, perhaps only up to 6 days and is susceptible to disinfectants. Vaccination is available but is only used in large scale commercial situations. This is a contagious disease caused by a herpesvirus and is usually seen as paralysis in young chickens. It is one of the more frequent reasons we see chickens presented to our hospital. Vaccination is available but must be done as day old chicks before any exposure to the virus (which is very prevalent in the environment), and they must be kept quarantined until immunity is developed 2 weeks later. There is no treatment for the disease and affected birds need to be euthanased. Not all birds in a flock will become affected, as some may be more resistant to disease than others but it can affect >50% of a flock which is devastating. Fowl pox is caused by a virus spread directly from infected birds fighting and causing wounds or via biting insects such as mosquitos. It causes scabby lesions around the comb, wattles, beak and eyes. There is also a more nasty form which causes lesions in the mouth and throat causing difficulty eating or breathing. There is a higher incidence in birds with large combs and wattles in areas with high mosquito activity. Most cases will be mild and resolve on their own within a few weeks. Lesions that interfere with eating may require advice and treatment from your vet. A vaccine is available. Daily observation of the flock and making note of small changes will hopefully enable backyard chicken keepers to identify signs of illness early in the course. Isolation of birds that aren’t quite right away from the rest of the flock allows closer observation of that animal and may limit disease spread. Chicken owners should seek assistance from an avian veterinarian early if something is amiss in the flock or if an individual appears unwell. It would be best to take your chickens for a health exam with your local avian vet.